One of only nine National Scenic Areas in the United States, the 80-mile Columbia River Gorge promises winding trails with scenic vistas, old-growth forests, sweeping panoramas, and wispy waterfalls. There are a number of stops you can make while cruising Highway 14 toward the Bridge of the Gods. Take a free tour of the Pendleton Woolen Mill, where you can witness the process firsthand from the state-of-the-art dye house, through spinning and weaving, to the finishing of their distinctive Native American-inspired blankets. 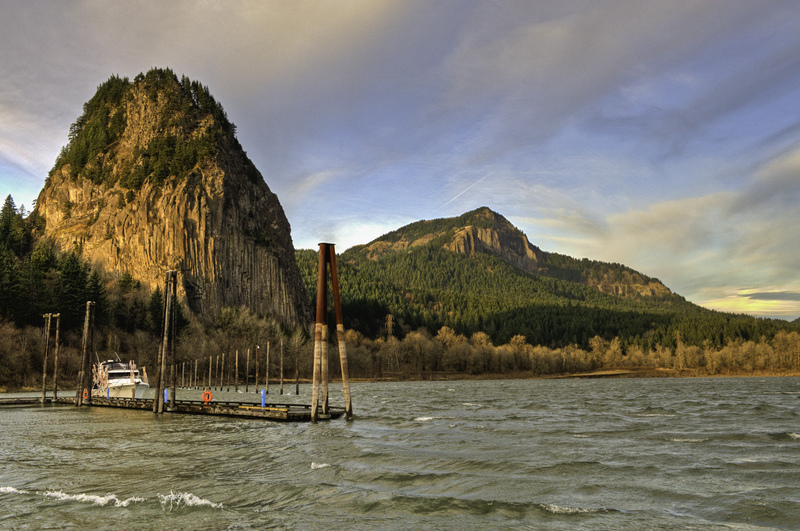 Next, Beacon Rock State Park offers a place to picnic or stretch your legs. The 1.6-mile trail to the top of the monolith rewards those willing to make the steep climb with an unparalleled panoramic view of the Gorge. Head to the nearby Bonneville Lock and Dam to explore historical exhibits, a visitor center, and a fish ladder viewing station. Pay a visit to Herman the Sturgeon—an 11-foot-long, 500-pound, 70-year-old white fish! For more historic learning, the Columbia Gorge Interpretive Center Museum offers 11,000 square feet of exhibits that interpret the area’s cultural and national history. Return to Vancouver on the Washington side of the Gorge, or make it a loop by crossing over the Bridge of the Gods. Hit the ever-popular Multnomah Falls. Stop to see the breathtaking 620-foot cascade and take a detour to the Vista House Interpretive Center at Crown Point for a windy view 733 feet above the Columbia River. Find a complete Columbia River Gorge National Scenic Area itinerary here. If adrenaline is what you seek, visit the Gorge for heart-thumping activities bound to leave you energized and feeling accomplished. Height-worthy hikes give you stunning Pacific Northwest views, including these not-to-miss spring wildflower treks. 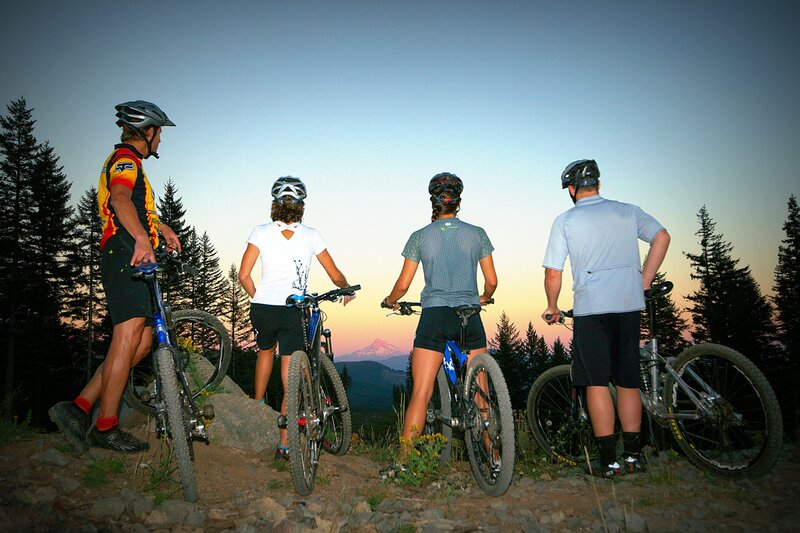 For experienced mountain bikers, Larch Mountain, just across the river in Oregon, provides strenuous trails with thrilling terrain. Take in the stunning view of Sherrard Point, which rises more than 4,000 feet above the Columbia River below. Glide off the ground with a zip line adventure through the tree tops of Washington. The Skamania zip line experience offers tours year-round and features seven different lines ranging in length from 100 to over 900 feet. Walk across the three sky bridges to be among the moss-covered firs. No trip is complete without experiencing the powerful river responsible for carving its way through the Cascade Mountains and creating the Gorge. Kiteboarding, windsurfing, and stand-up paddleboards are all popular activities for enjoying the wake of the Columbia River.